Digital healthcare company Intelesant has made two significant appointments to facilitate growth and support the development of its Howz platform. 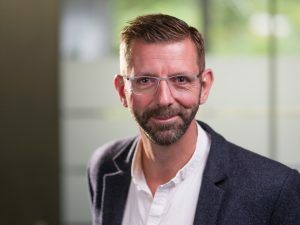 Simon Devonshire OBE, currently entrepreneur in residence for UK government, has joined the Sharp Project-based company as a non-executive director, and Mark Duman has been appointed director of market development. Howz is a tool that analyses energy usage and data from multi-sensors. It is designed to understand a person’s daily routine and enable their care network to monitor them. Devonshire ran the business division of the mobile operator O2 for five years and has helped scale-up businesses including Zopa.com the world's first lending and borrowing exchange. In 2016, he was awarded an OBE for his services in support of entrepreneurship and enterprise. Duman will oversee the launch of Howz to the commercial market. He is a pharmacist by profession and has held previous roles at Lewisham Hospital NHS Trust, The King’s Fund and BBC. Following extensive testing and analytical research, Intelesant is now investing heavily in the marketing and sales strategy for Howz. CEO Jonathan Burr said: "These appointments have allowed us to make significant progress with the development of Howz and our intended route to market. “Having Simon and Mark on the team has undoubtedly strengthened the company and puts us in a very confident position moving forward with the launch phase of Howz.